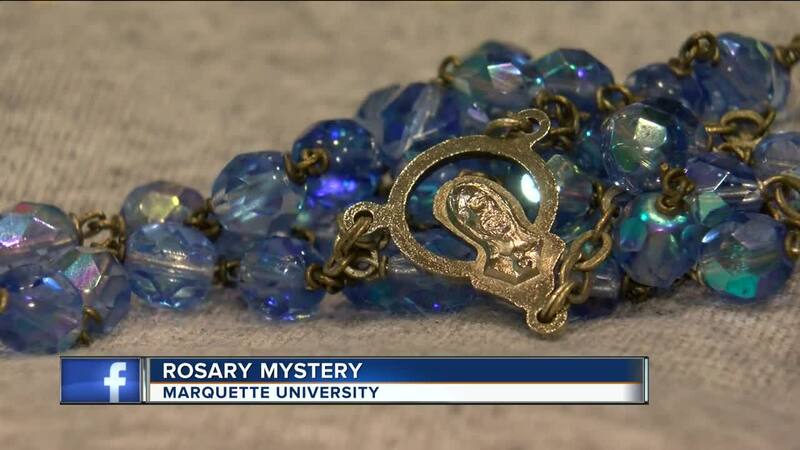 Marquette Mystery: University leaders trying to find student who lost rosary nearly 30 years ago. MILWAUKEE – Marquette University asking for help in solving a mystery nearly 30 years ago. Back in the 1980's, a resident assistant discovered a rosary in O'Donnell Hall and held onto it for nearly 30 years -- until she recently gave it to an admissions counselor. That admissions counselor was Amy Bielawski. Bielawski was handed the rosary by the former resident assistant, who is now a mother, while her son was taking a tour of campus. On the back of the rosary, there is a pendant KAS and the date Nov 10, 1982. Marquette is currently using social media to try and find the owner of the religious necklace. Their Facebook post already has over 158 shares. If you have any information on who the rosary may belong to, contact Marquette University at (800) 222-6544.